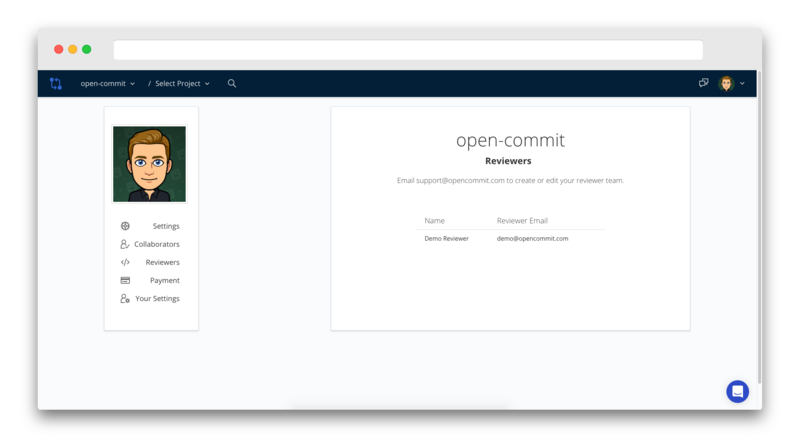 Improve your code quality with Open Commit today. Our reviewers will provide comments on industry best practices which will allow you to reduce technical debt in your application. 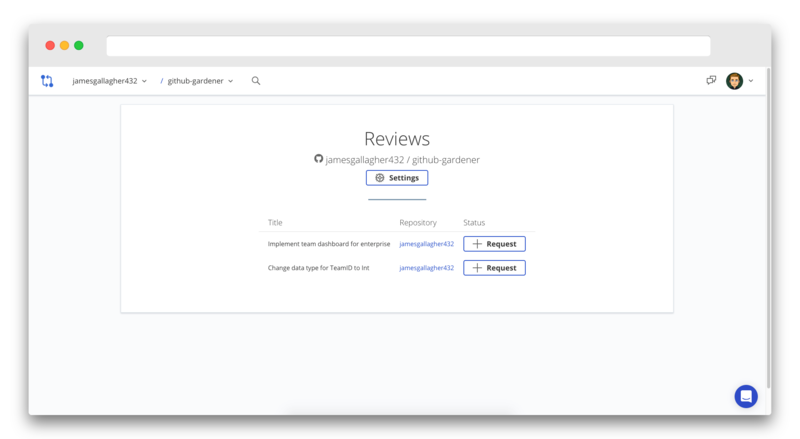 Our reviewers will ensure your code is easy to read, well documented, and accurately meets the desired purpose of the code. Our reviewers will help reduce technical debt by providing suggestions on how to improve your code's efficiency and functionality. 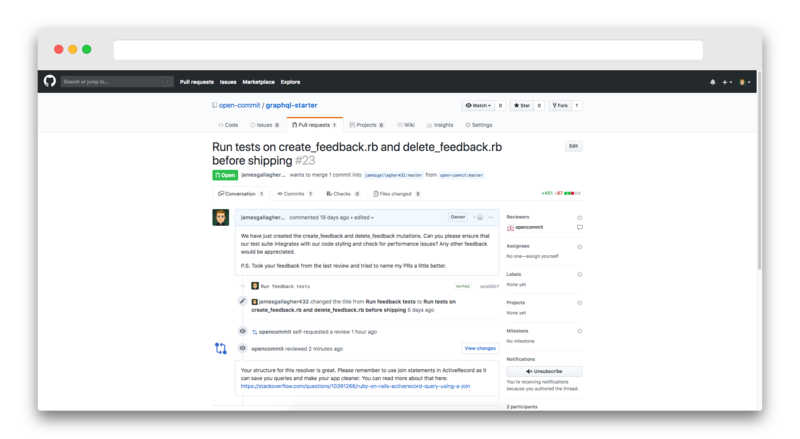 Our reviewers will provide actionable suggestions on how to resolve bugs, improve tests, and ensure your code is scalable. Your code will be assigned a professional reviewer who will comment on everything from resolving bugs, to improving test suites, to removing technical debt and assessing implementation. Our reviewers will help you maintain a consistent style of code and all reviews are documented. 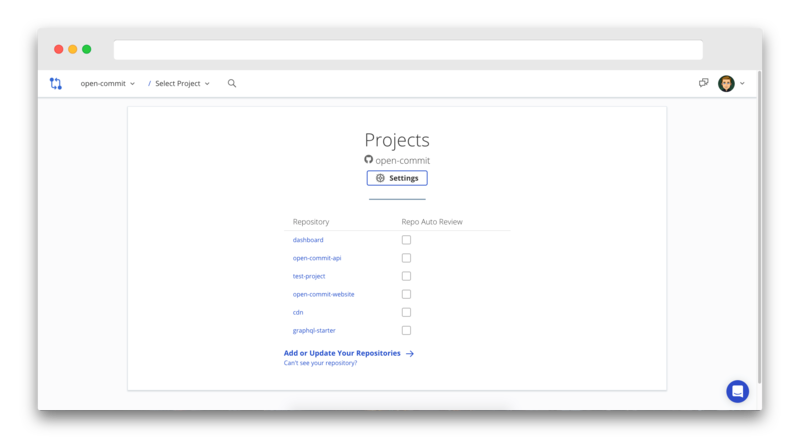 Onboard developers faster and save time by showing new developers the code guidelines developed with your reviewer. Curious about a comment on your code? Need some clarification? Just ask your reviewer within your code platform and they will help you understand and interpret their review. Maybe you had a great review from one of our expert Reviewers. Develop a deeper relationship with a reviewer you can trust who will get to learn your code style and context. Improve your code quality today.